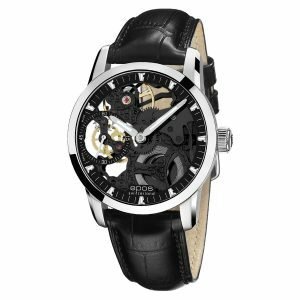 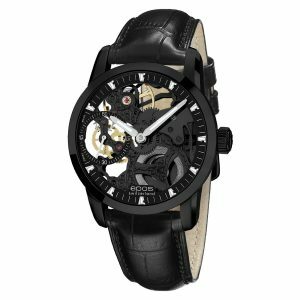 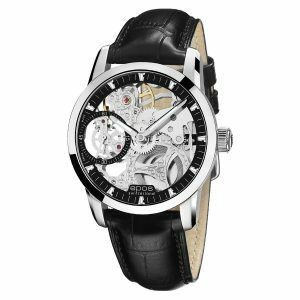 Hand-wound black skeleton watch with wonderfully decorated movement (blued screws, engraved patterns). 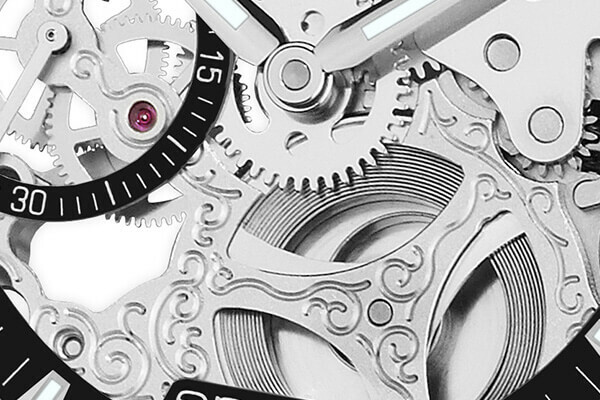 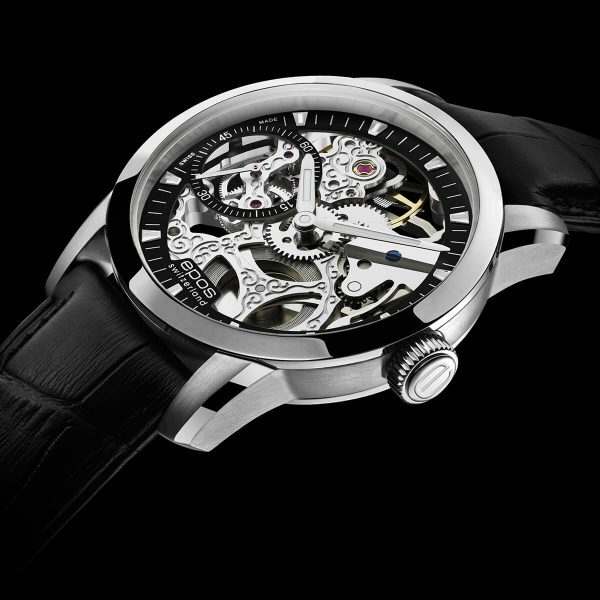 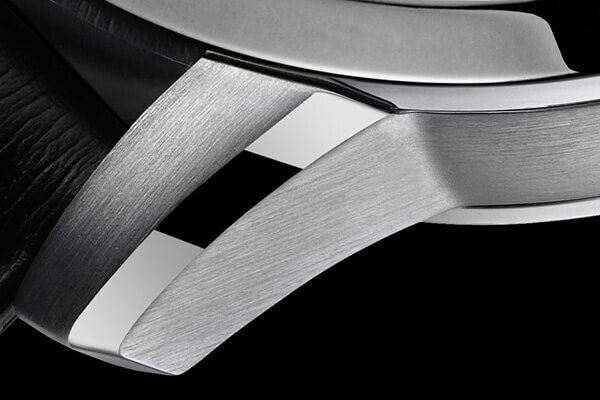 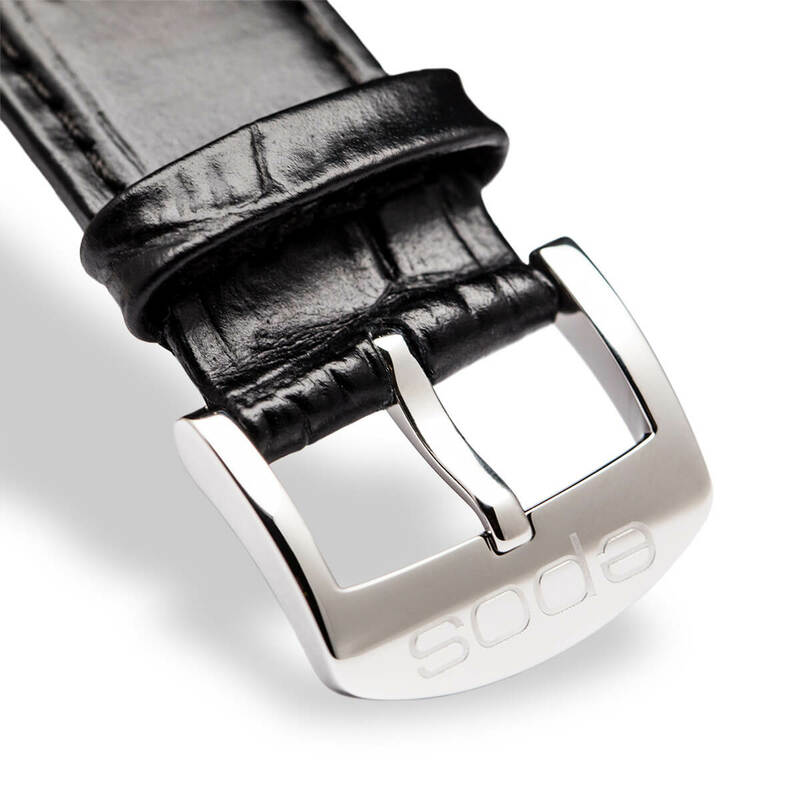 Fully skeletonized Unitas 6497 movement with elaborate engravings and blued screws. 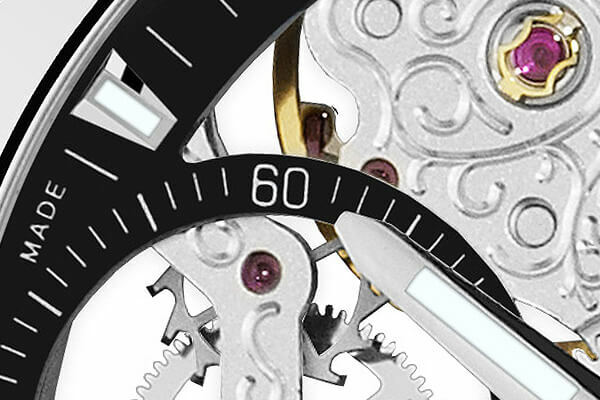 Skeletonized dial ring with applied luminous indices and small second at 9 o’clock.